Sarbeswar Praharaj is developing an interactive data portal for visualising and assessing smart city readiness in 100 cities across India, including Delhi, Mumbai, and Kolkata. The 31-year-old smart cities researcher from Kolkata says the portal will assess human quality of life and the efficiency of public service delivery in the cities. “Data is a key ingredient in smart cities,” he says. “How do we capture the data from millions of smartphone users, street light sensors, from CCTV cameras, from bus systems, from many other hosts of sources, and then bring them into one platform to support city planners and public authorities to make faster decisions, and decisions which are based on evidence, not purely on politics. Praharaj came to UNSW in 2015 having obtained a Double Master’s Degree in City Planning and in Geography at CEPT University in Ahmedabad, and four years of professional experience in the urban development sector in India. He says his choice of UNSW has given him “multiple opportunities” and access to a world class tech researchers network. Deeksha Nathani is also hoping to learn skills in her Master of City Planning course at UNSW Built Environment which she can use to help her home city of Mumbai. The 25-year-old Master’s student completed a Bachelor degree in Architecture at the University of Mumbai before working for two years in an architectural firm, where she was exposed to many of the city’s planning problems. “I want to understand how to improve the planning framework and spatial structure, as in where the low-income housing should be, how the affordable housing should be provided, and how do we go about improving the conditions of the slums or the informal housing settlements,” she says. Nathani’s interest in sustainable built environments led her to apply for the Master of City Planning program at the Faculty of Built Environment at UNSW. The student, who has been studying at UNSW since July last year on a Future of Change Scholarship, says the course is appealing because it allows her to study subjects from different disciplines, such as Geodesign, and gives her an international perspective. Praharaj, whose research “revolves predominantly around data-driven strategic urban planning”, has received a number of grants and awards during his studies. He received the prestigious research grant from the Australia-India Council of the Australia Government, which has enabled him to set up the Australia India Smart Cities Knowledge Exchange Network, a group of international scholars who identify commonalities in smart cities planning and opportunities for technology exchange across Australia, India, and Europe. He was also named a UNSW Global Tech Fellow last year, an appointment which led him to participate in a Cities of the Future program in Germany with 20 researchers from the 11-member Global Alliance of Technological Universities. Praharaj’s group created an app for smart parking that would show users where to access parking, availability and pricing in real time. “These are small applications, but it helps the road be decongested and supports the city governments regulate the city more intelligently and in a smoother way,” he says. The researcher has also been awarded the UNSW International Postgraduate Research Scholarship for his doctoral research. While using Australian and global expertise to provide solutions for Indian cities is the focus of his studies, Praharaj wants to continue delivering research that meets the social needs in the global south. Like Praharaj, Nathani teaches undergraduates in the Faculty of Built Environment. She also works part-time at an urban design and planning firm. 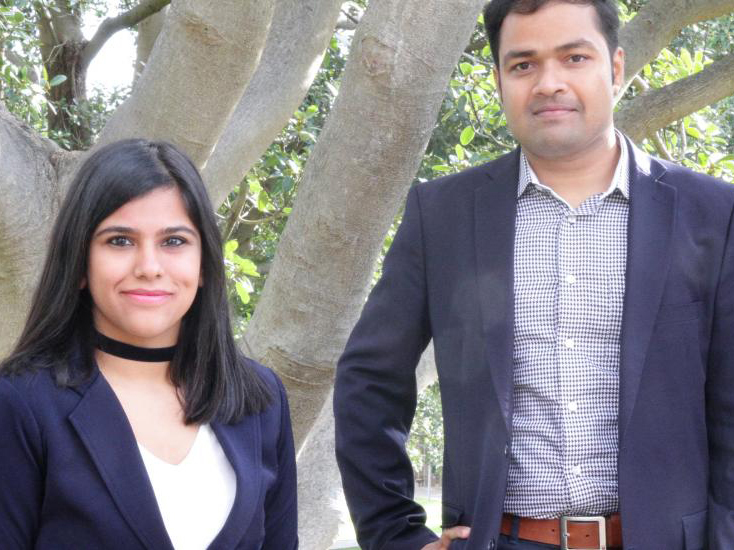 After her studies, Nathani plans to continue working in Sydney to gain industry experience and further hone her skills before returning to Mumbai, to contribute towards the ongoing sustainable development, housing and infrastructure planning. She says she would like to see India implement Australian policies and practice such as strategic planning and community consultations.